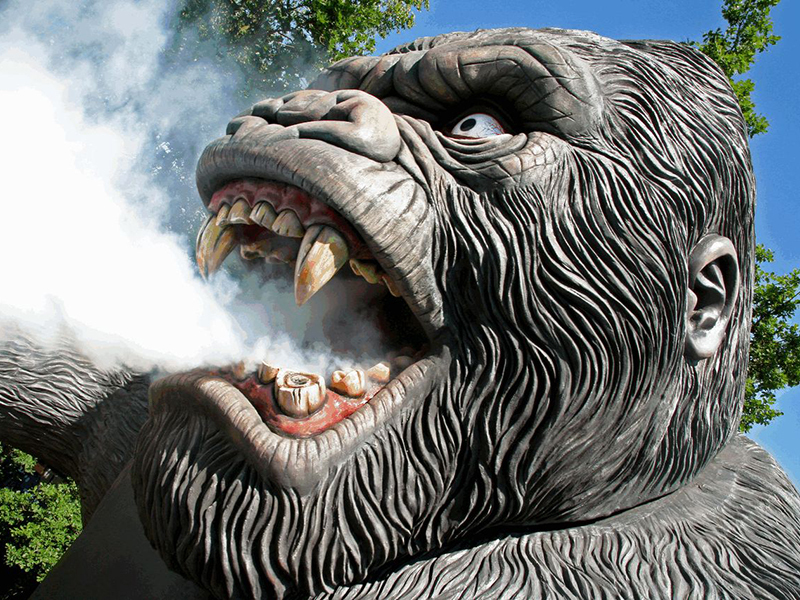 Face to face with an angry gorilla! 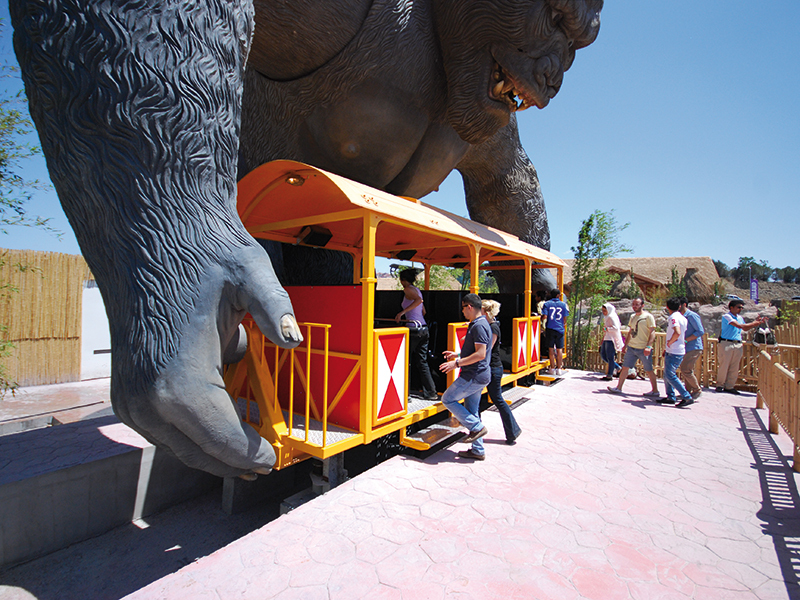 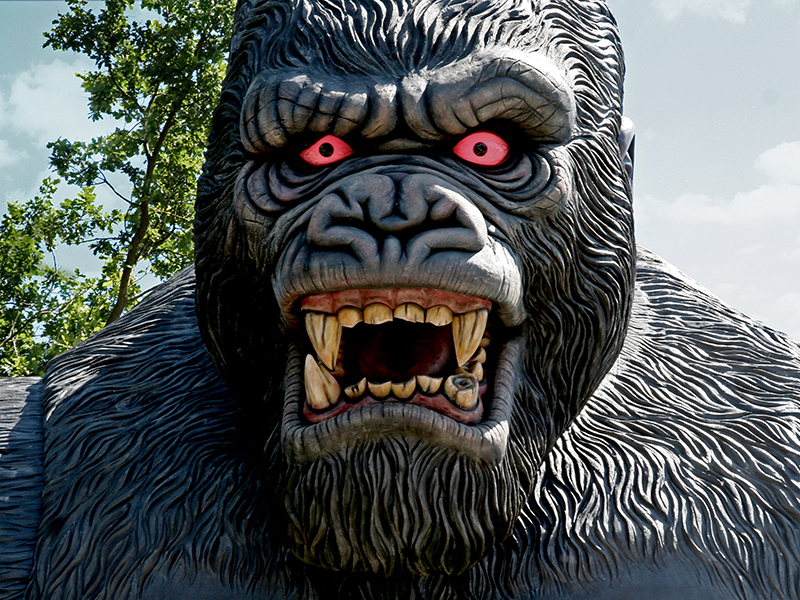 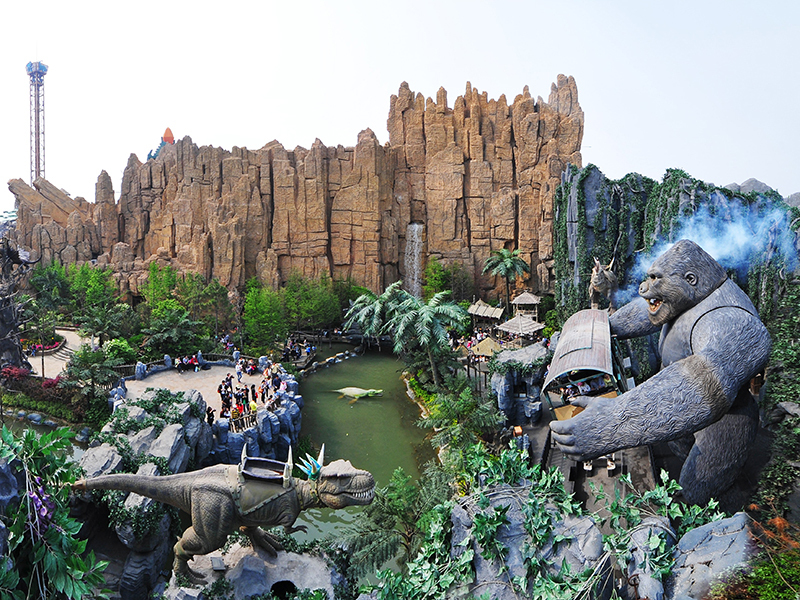 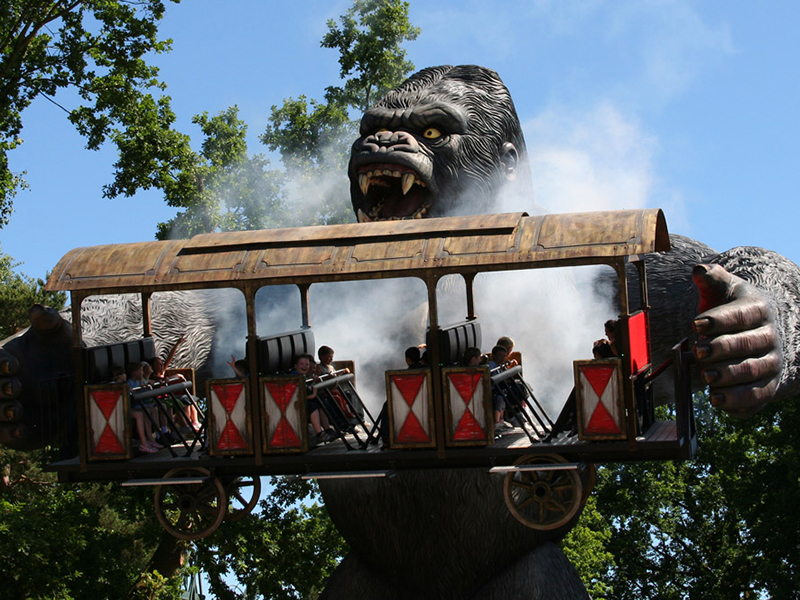 KING KONG is one of the most famous and successful attractions within the HUSS® Family Rides range, with child-friendly movements, a fantastic exterior appearance and superb special effects. 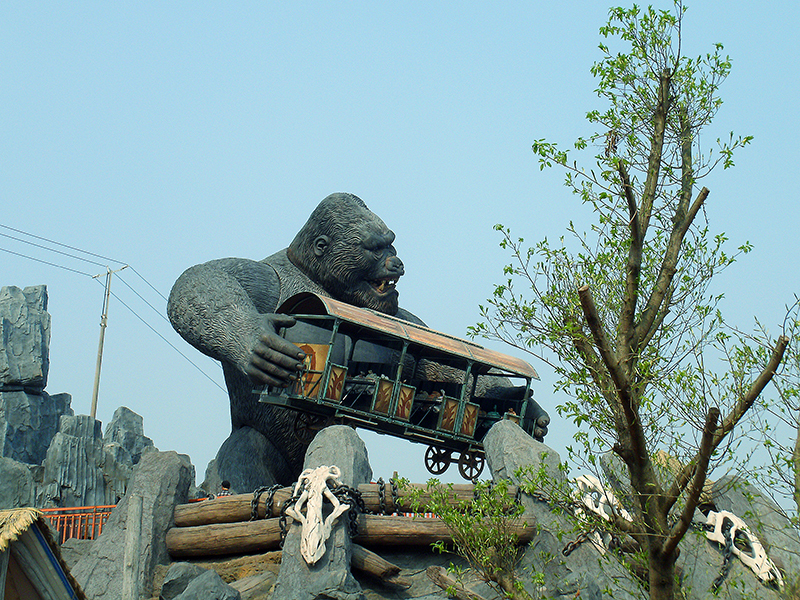 The ride concept follows the well-known King Kong movie story and features a gondola designed to carry up to 24 passengers. 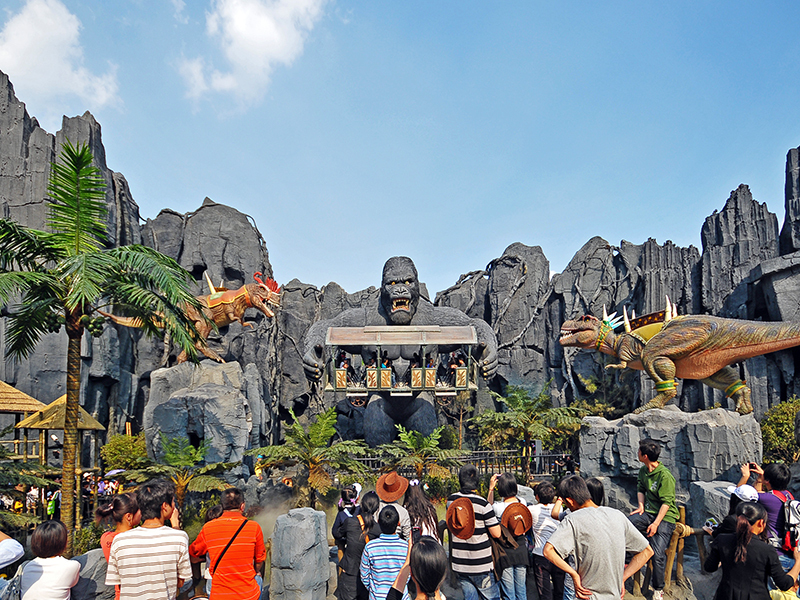 The entire structure reaches a maximum height of 12.7m and covers a footprint of 11.3m x 9.5m. 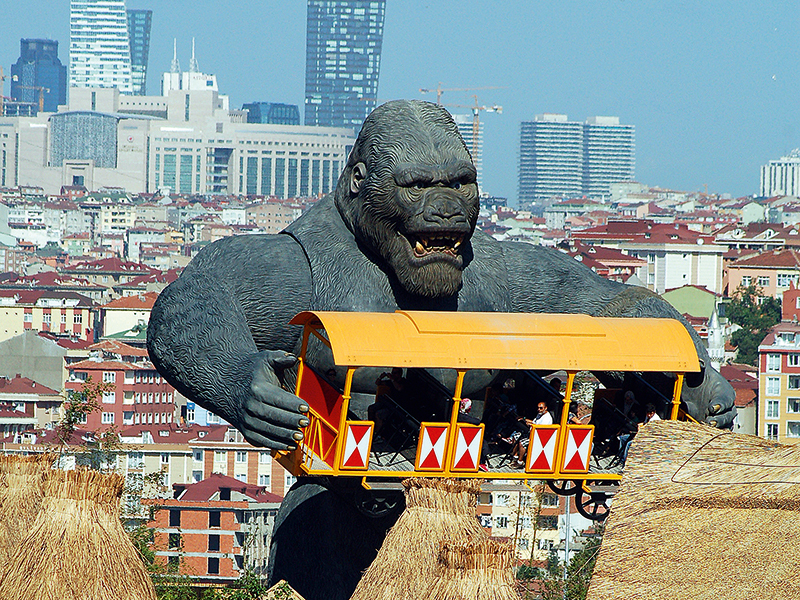 Passengers enter the rider carrier at ground level before King Kong starts to stand up, at the same time lifting the gondola. 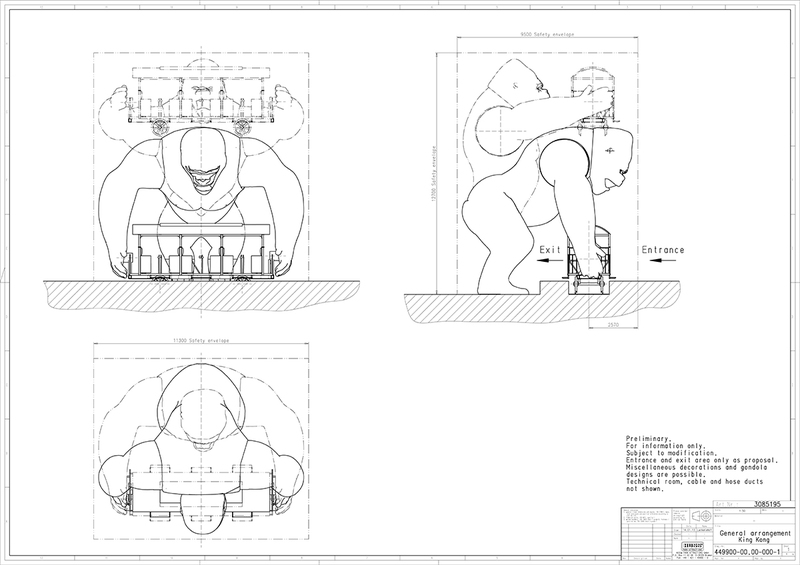 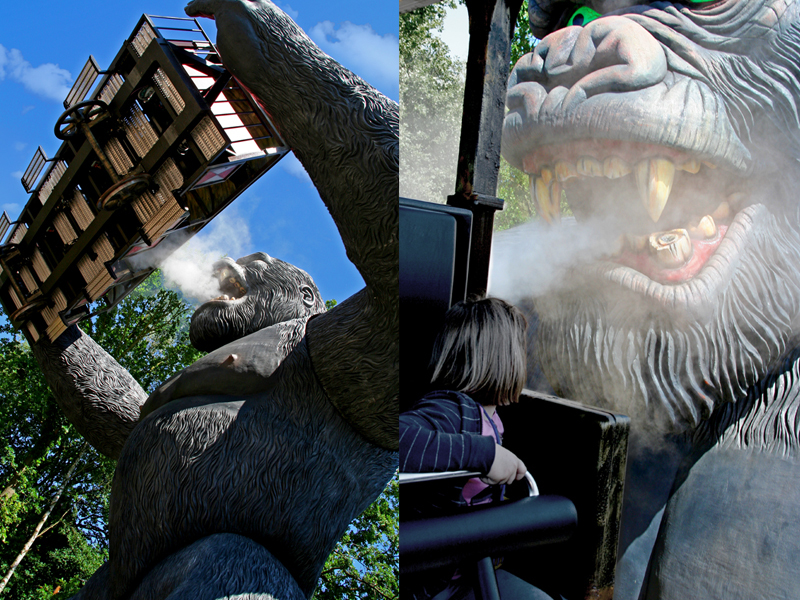 When fully upright the gorilla starts to shake the gondola which leads to gentle swinging movements and an inclined position of the rider carriage. 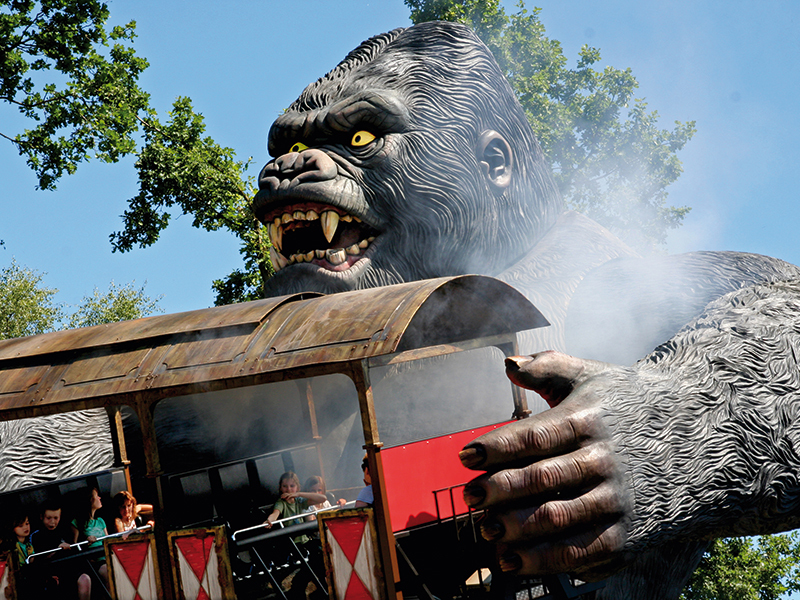 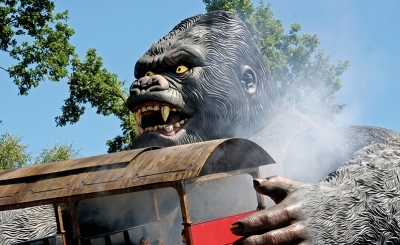 After a while the gondola becomes positioned directly in front of the head of King Kong and an array of special effects begin, with sound, mist, shining eyes and seat vibrators. 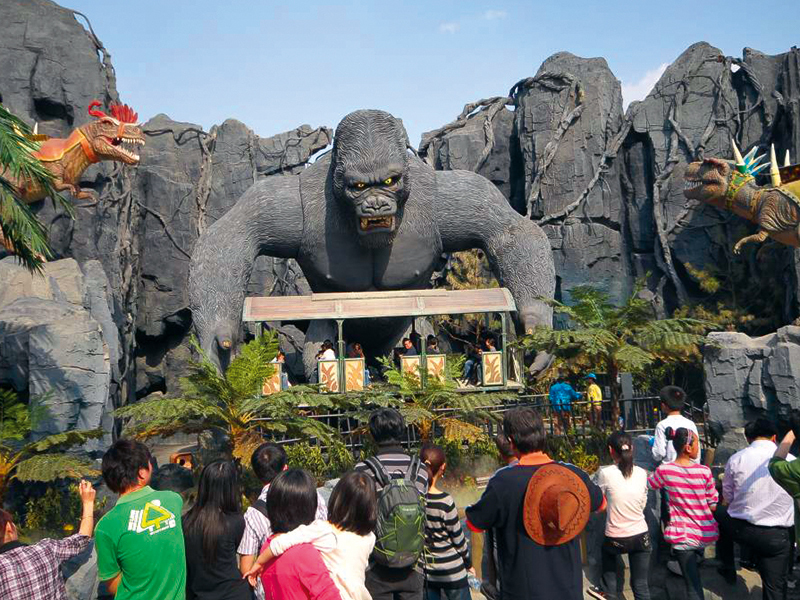 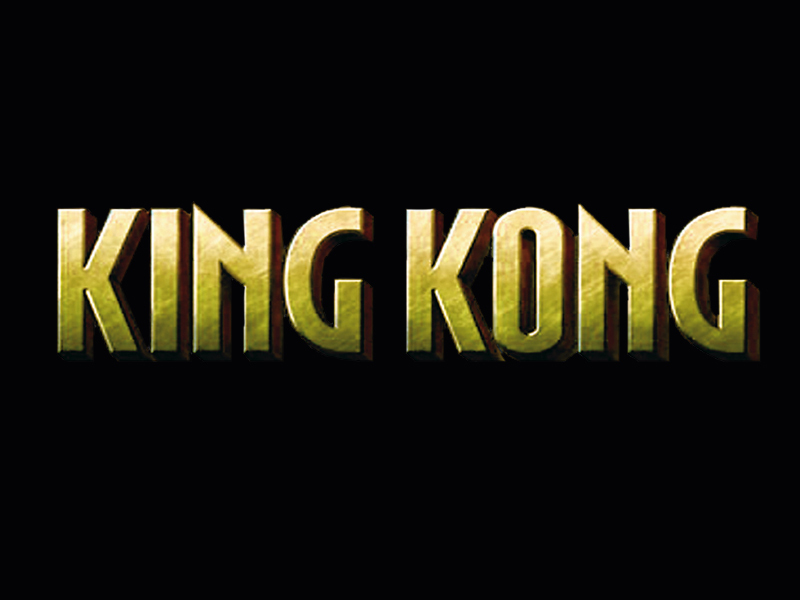 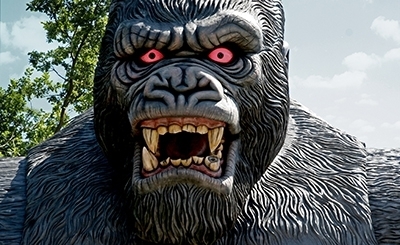 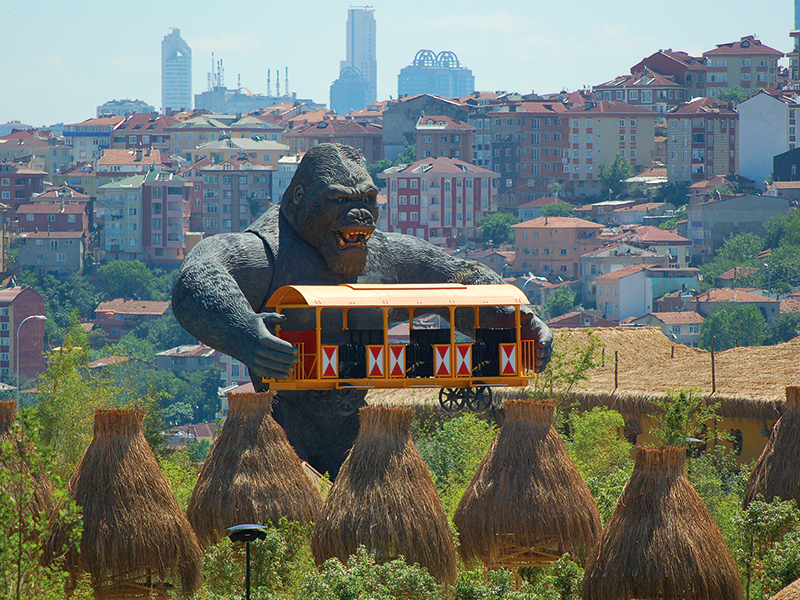 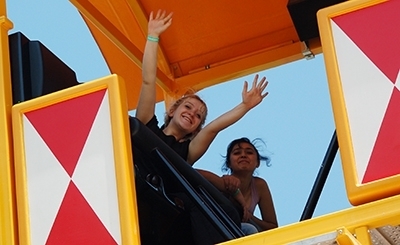 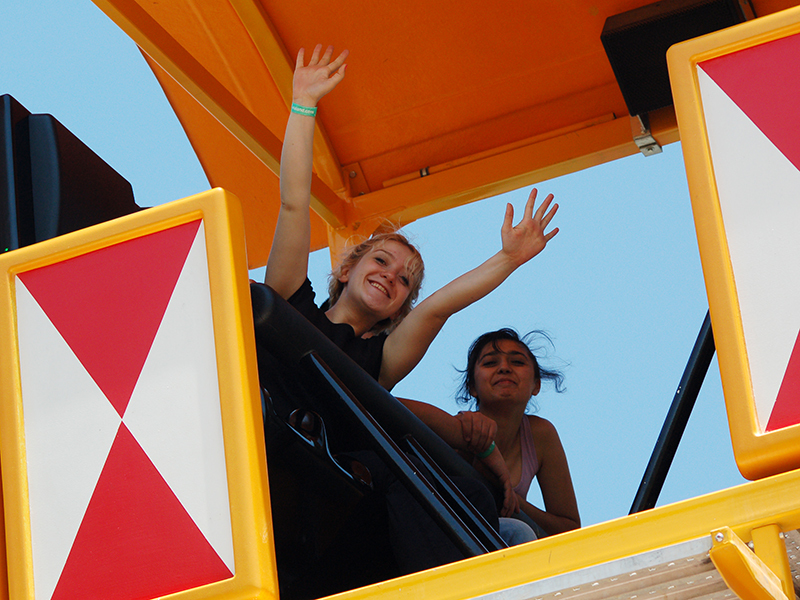 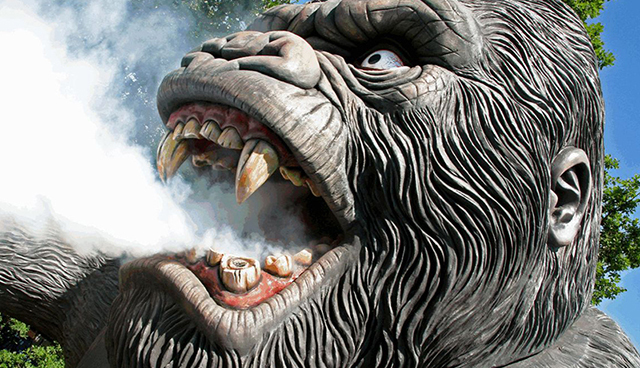 KING KONG ensures a soft thrill, fun-filled experience for the whole family.